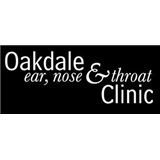 Oakdale Ear, Nose & Throat Clinic (Robbinsdale) - Book Appointment Online! For over 35 years, Oakdale Ear Nose & Throat Clinic has been committed to giving our patients a better quality of life. Our Board Certified Physicians and Licensed Audiologists use the latest treatments and leading medical technologies to ensure that you get the quality services to improve the quality of your life. Our Medical Services are performed by physicians who are trusted by over 500 area physicians and healthcare professionals to take care of their patients. Without a doubt one of the most professional, yet welcoming, atmospheres. Dr. Johnson's diagnosis uncovered a problem with a prior procedure causing my condition that went back decades. Within two weeks of his diagnosis I will have a resolution to my situation. Gladly five stars all the way.